The Philippines is located in South-East Asia and contains over 7,000 islands. We sat down with Marie, who’s from the Philippines, and asked her what makes her homeland so spectacular. There are so many amazing islands to choose from in the Philippines, but Palawan is the number one island to go to. Puerto Princesa’s Underground River, located in Palawan, is a UNESCO World Heritage Site and is one of the 7 Wonders of Nature. Puerto Princesa is a captivating limestone karst landscape with an underground river and you truly have to see it to believe it. El Nido is another island that is part of Palawan that shouldn’t be missed! It has crystal clear waters, breath-taking scenery and is the best place to go scuba-diving and snorkelling. Palawan can be classified as both a tranquil and adventurous destination. 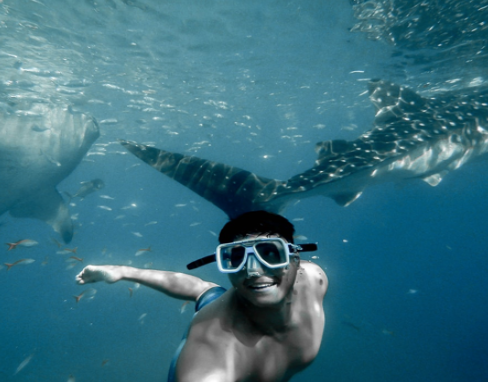 In El Nido, not only can you go snorkelling and scuba diving with the small colourful fish but you can also swim with the whale sharks! They’re the largest fish in the world and are completely harmless but make sure not to touch them in case you scare them. Halo-halo is the most popular Filipino dessert that every Filipino loves, and that you’ll love too! 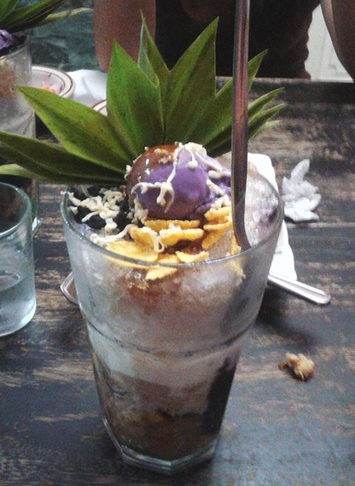 Halo-halo means “a mixture”- this cold colourful dessert is a mixture of many sweet things for you to enjoy. It consists of shaved crushed ice, evaporated milk, leche flan, gelatine, fruit slices, sweetcorn and a scoop of ube ice cream to top it all off on top. The mixture of the ingredients may seem weird to some, but I guarantee you won’t regret trying it! There are so many famously known places for tourists to visit in the Philippines but there are also some hidden gems in this tropical country that have only recently been discovered and developed. 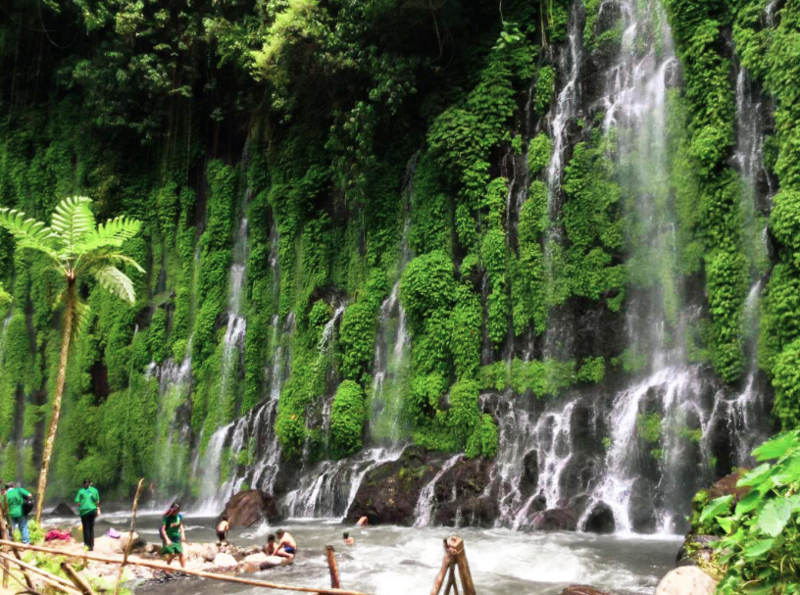 A good example of this is the Asik-Asik falls which is located in Alamada, Cotabato City. This unique phenomenon was only discovered in 2010 by locals when they accidentally stumbled upon the area whilst passing by. Not many people knew about this beauty until a photo of the streams of water falling from the green-covered mountain cliff was shared online and went viral. The hike up to the waterfall is definitely worth the view! 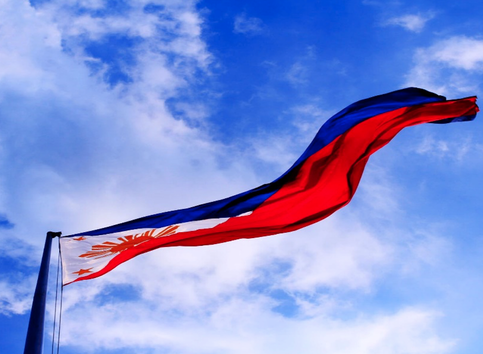 Filipinos are one of the most hospitable, caring and enthusiastic people you’ll ever meet. They constantly have a smile on their face and will make you feel at home instantly. Their friendliness and laugh are contagious, so you’ll have lots of fun when you mingle with the locals. You needn’t have to worry about the communication barrier as a lot of Filipinos speak English- it is the second official language of the Philippines. 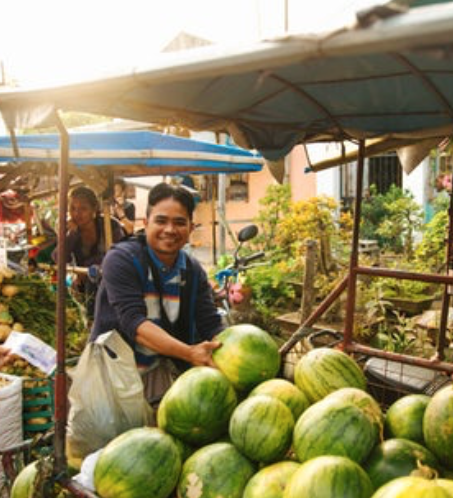 To enhance your experience and mingle with the locals, it wouldn’t hurt to learn a few basic Filipino words such as “salamat” which means “thank you”. They genuinely love teaching tourists how to speak Filipino so don’t be afraid to ask! You’ll witness captivating scenes in the Philippines that will definitely up your Instagram game! 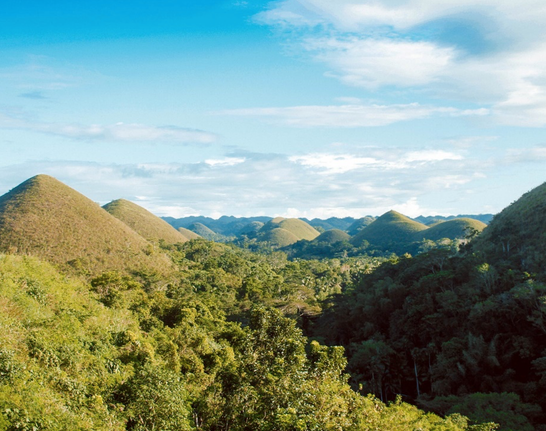 The first picture is of the Chocolate Hills in Bohol. This majestic landscape has more than 1,268 cone-shaped hills. There is no certain explanation for its wonderful formation, but it was declared a UNESCO World Heritage Site in 2006 for its outstanding universal value. 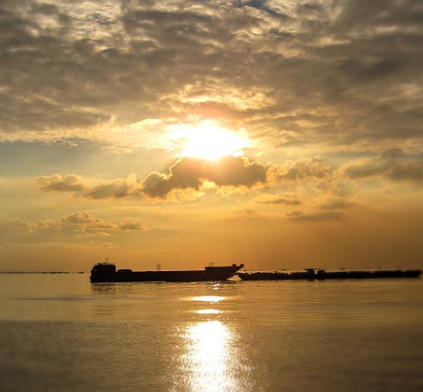 I also recommend watching the sunset at Manila Bay’s. I was lucky enough to witness this breathtaking view before seeing the spectacular Firework Festival. Manila Bay is also located beside the 4th largest shopping centre in the Philippines, so you can go shopping and still get a glimpse of the view. Boracay is another remarkable island in the Philippines and was awarded the best island in the world in 2012 by Travel + Leisure. It is most famously known for its powdery white sandy beaches and clear blue waters. Tourists from around the world love to visit Boracay because of its amazing resorts, night-life, water activities and fire dancers. 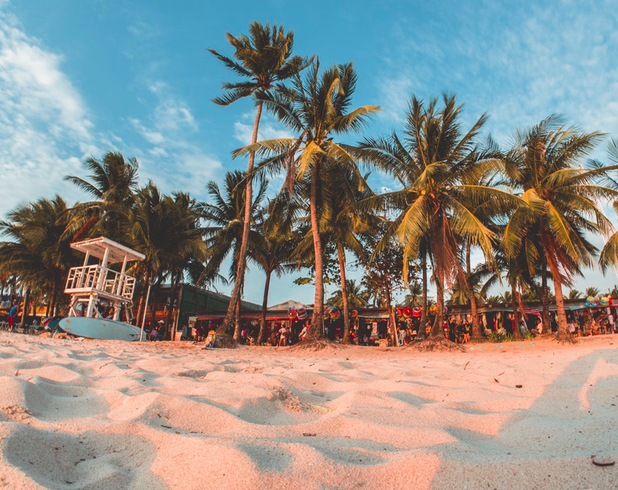 Whether you’re on a budget or want to splurge out, Boracay offers you a wide variety of things to do that you’ll most definitely enjoy. There are plenty of activities that you can part-take in such as horseback riding, scuba diving, snorkelling, cliff diving and parasailing. There are so many unique places to visit and things to do in this stunning country whether you’re on a budget or not. Interested in making the Philippines your next adventure? Click here to find the perfect package for you!